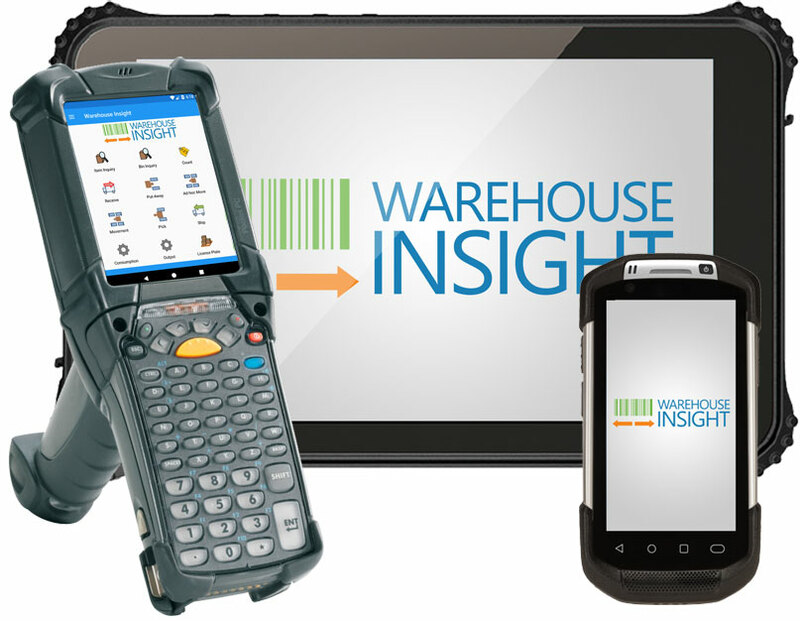 Warehouse Insight supports all major brands and models of handheld computers that run Windows Mobile, including Datalogic, Intermec/Honeywell, Symbol/Motorola/Zebra. Also, Warehouse Insight provides tablet/large screen support for environments that require vehicle-mount computers, or where users simply require a larger screen. Pair Warehouse Insight with Bluetooth or USB scanners to work on non-handheld devices. This capability is ideal for forklifts or any area where a larger screen is required and mobility and handheld ergonomics are less critical. Support tools that enable remote control of the devices during support and training sessions are installed on the devices with Warehouse Insight. This enables implementation personnel to quickly and accurately assess issues and provide training remotely.